The Tibetan Mastiff is a large, ancient and very rare breed. Recently, you might have heard about it in the news as one of the most expensive dogs ever sold. Tibetans are massive dogs with large heads. Let us study everything you need to know about this beautiful dog breed. Tibetan Mastiff size – The standard Tibetan mastiff is up to 28 inches in height and weighs nearly 220 lbs. English variants of this breed typically weigh between 120-140lb and are slightly shorter too. Main difference between this and other mastiffs lies in the brow; the Tibetan has a smooth brow as against the wrinkled brow characteristic of other mastiffs. It also lacks the large jowls of regular mastiffs. Coat is double and comes in a variety of colors like red, tan, black, brown etc. A Tibetan named Big Splash reportedly sold for more than a million dollars. 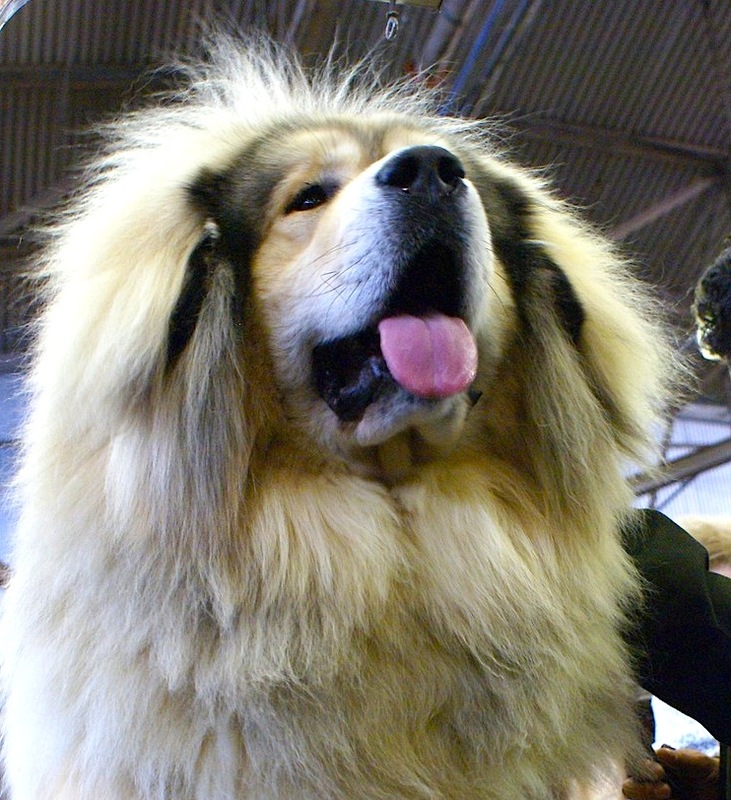 In China, it is a symbol of prestige and status to own a Tibetan Mastiff. The breed has a rich cultural history. Marco Polo was the first westerner to own this breed. He is even supposed to have used the words ‘as tall as donkeys or jackasses’ to describe these dogs. Should you buy this dog breed? As with any dog breed, you must carefully evaluate your reasons to buy this breed. There are many right and wrong reasons to buy a dog and they all apply to the Tibetan as well. You need to have large space, financial capability as well as time to devote to this large dog. As with any house pet, your dog will thrive when you give it time, attention and affection along with good food, vet care and exercise. The cost of taking care of this rare and expensive dog breed can run in the range of $300-$500 per month. Never buy a dog just because the breed is trendy and rare or for emotional reasons. Lots of rare dogs end up in the pound each year because people get bored or are unable to care for them anymore. There will be a waiting list for the puppies. Be wary of breeders who are willing to send a puppy to you the next day! He/she will be willing to show you the parents of the pups. You can ask the breeder hundreds of questions about the litter, the health records of parents and so on; s/he will happily answer all these questions. 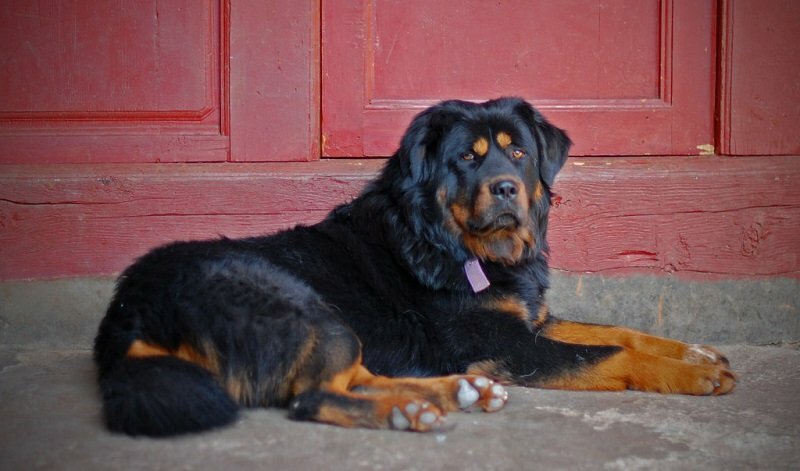 In turn, the breeder will also ask you several questions about your household, schedule, travel plans, work timings etc to ascertain that you are a good potential owner for the Tibetan mastiff. If, for some reason, you are unwilling to care for the puppy, if its health is not up to par as shown by medical exam or any other reason; the breeder should willingly take the pup back. 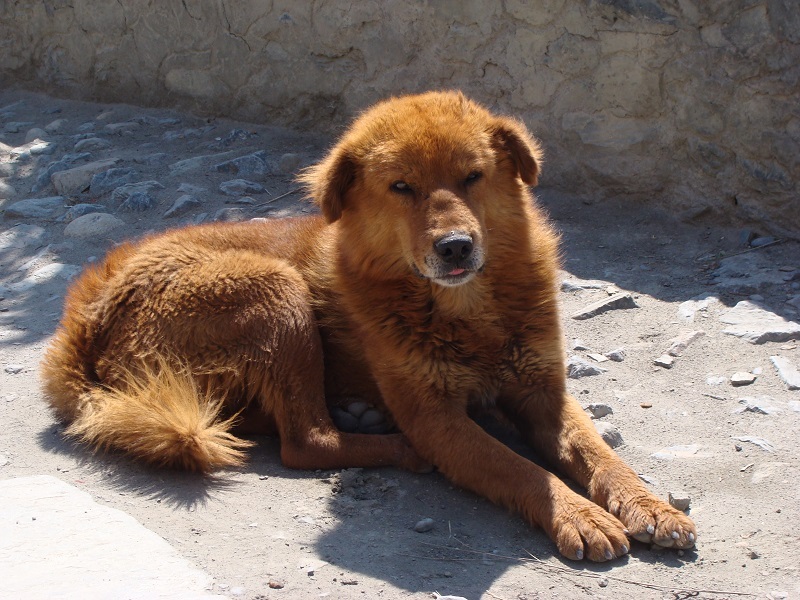 The English TM and original TM are quite different in temperament; the original Tibetan Mastiffs in China are more aggressive and ferocious as they were mainly bred to guard property and sheep. They are also unpredictable in behavior. English TM are more obedient and attached to their owners. This is not a dog for small apartments. They need a large yard and plenty of room to run and play. 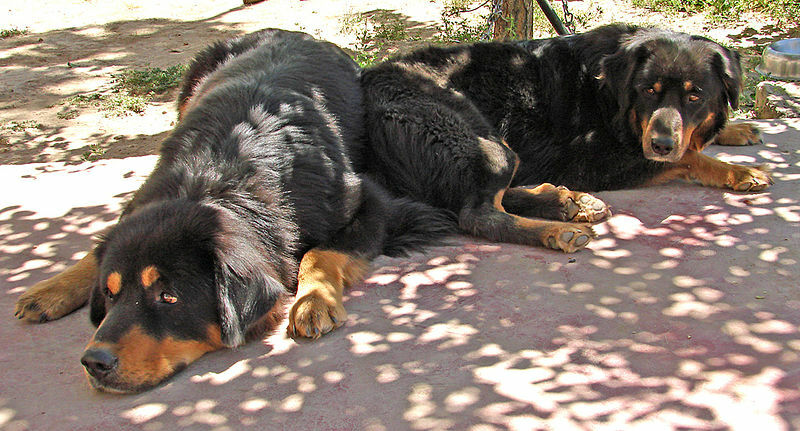 English Tibetan Mastiffs are easy going. Both varieties are known to be wary of strangers. They have a tendency to bark a lot so unless you want complaints from neighbors you must keep them indoors. To summarize: this is a noble, protective, intelligent and aloof dog that can also be very responsive and powerful. It is very important to provide adequate exercise to your buddy. Puppies need to be walked every day, twice, for at least 30 minutes each. They must also be given opportunities to run and play.TM puppies grow rapidly so you need to provide them with mental and physical stimulus they need for development. After all; adequate levels of exercise will provide them with opportunities to grow strong muscles and bones and also provide mental stimulus. Note that the breed has a double coat which rapidly overheats the body temperature in summers. So exercise your pet during the cooler part of the day. TM puppies are known for their strong willed nature and they are also one of the most stubborn breeds. Therefore training needs to begin the moment your puppy comes home. TM puppies do well with in-house training by the owner or in an obedience school. They are independent cat-like thinkers; so you need to strike a treaty with them. Simple, short and consistent training sessions with plenty of rewards, praise and motivating treats can give good results. 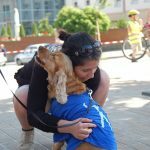 Socialization with other humans, pets and children is also very important because of their natural caution around strangers and guarding instincts. Like most large breeds, this dog has a shorter life expectancy than most other breeds. At an average, they live for 10-12 years. The thick double coat is susceptible to fleas, ticks, worms etc. They are also prone to weight gain. 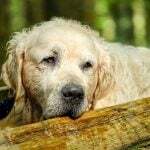 Specific health issues that are common to the breed include: hip dysplasia, cataracts, progressive retinal atrophy, hypothyroidism, gastric torsion, cardiomyopathy, Addison’s disease etc. Early grooming in puppyhood will help foster owner-dog bond; your pet will start looking forward to the sessions as it shows him your affection. It is also one sort of obedience training since the puppy sits still for the duration of the grooming. Regular brushing of the coat will prevent parasites and also remove mats, loose hairs etc. Bathe your pet once a month to keep the coat clean and healthy. Dry powder shampoos are beneficial for such large dogs with thick double coats; they can be used between baths to clean heavily soiled coats. Always groom the coat in the direction of hair growth as against the growth pattern. Avoid grooming the hair on the face in order to prevent accidentally hurting the eyes. Avoid feeding milk to your puppy or adult Tibetan Mastiff-they do not have enzymes to digest it. Some owners give raw eggs to their fur babies for a shinier coat but this can create biotin deficiency over the long run. So stick with cooked eggs. 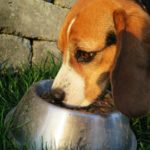 Avoid feeding human food or table scraps to your TM; this can impact the natural balance in his system. Raw food diet works for most TMs but do ensure that your dog does not develop nutritional deficiencies. Avoid raw bones as they can splinter and shatter internally. Always consult a vet before changing the food.